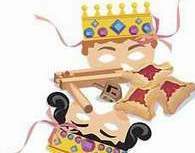 According to oral tradition, Rosh Hashanah is the Jewish new year, day of memorial and the day of judgment, in which God judges each person individually according to their deeds, and makes a decree for the following year. 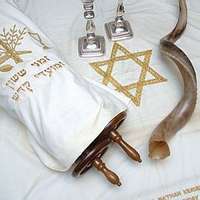 The holiday is characterized by the special mitzvah of blowing the shofar. According to the Torah, however, this is the first day of the seventh month of the calendar year that marks the beginning of a ten day count to Yom Kippur. Rosh Hashanah is set aside by the Mishna as the new year for calculating calendar years, shmita and jubilee years, vegetable tithes, and tree-planting (determining the age of a tree). Example of Jewish Calendar. Yom Kippur is the holiest day of the year for most Jews (Karaite Jews regard Passover as the holiest day of the year, as do Samaritans). Its central theme is atonement and reconciliation. This is accomplished through prayer and complete fasting - including abstinence from all food and drink (including water), unless fasting is prohibited for medical reasons (e.g., Jewish law does not permit fasting by nursing mothers, diabetics, people with anorexia nervosa, etc.). Bathing, wearing of perfume or cologne, wearing of leather shoes, and sexual relations are some of the other prohibitions on Yom Kippur - all them designed to ensure one's attention is completely and absolutely focused on the quest for atonement with God. The fast and other prohibitions commence on 10 Tishri at sunset - sunset being the beginning of the day in Jewish tradition. A traditional Aramaic prayer called Kol Nidre ("All Vows") is traditionally recited just before sunset. Although often regarded as the start of the Yom Kippur evening service - to such a degree that Erev Yom Kippur ("Yom Kippur Evening") is often called "Kol Nidre" (also spelled "Kol Nidrei") - it is technically a separate tradition. This is especially so because, being recited before sunset, it is actually recited on 9 Tishri, which is the day before Yom Kippur; it is not recited on Yom Kippur itself (on 10 Tishri, which begins after the sun sets). The words of Kol Nidre differ slightly between Ashkenazic and Sephardic traditions. In both, the supplicant prays to be released from all personal vows made to God during the year, so that any unfulfilled promises made to God will be annulled and, thus, forgiven. 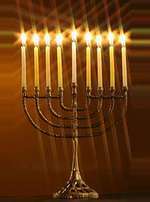 In Ashkenazi tradition, the reference is to the coming year; in Sephardic tradition, the reference is to the year just ended. Only vows between the supplicant and God are relevant. Vows made between the supplicant and other people remain perfectly valid, since they are unaffected by the prayer. 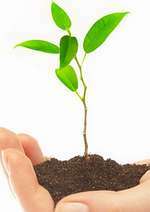 Tu Bishvat is the new year for trees. According to the Mishnah, it marks the day from which fruit tithes are counted each year, and marks the timepoint from which the Biblical prohibition on eating the first three years of fruit and the requirement to bring the fourth year fruit to the Temple in Jerusalem were counted. In modern times, it is celebrated by eating various fruits and nuts associated with the Land of Israel. 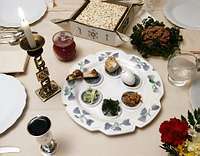 During the 17th century, Rabbi Yitzchak Luria of Safed and his disciples created a short seder, called Hemdat ha‑Yamim, reminiscent of the seder that Jews observe on Passover, that explores the holiday's Kabbalistic themes.